Rydertech: Computer 101: The System Information Tool Part 1. Another tool that will also be able to help you understand your computer inner workings is the System Information Tool. But before we proceed i will caution everyone this tool is a bit different from the DXDIAGNOSTIC TOOL. Well for one this tool is more detailed compare to the other one and there is a whole lot more information on this. Also a lot of the information contain on this tool is very technical in nature. But do not let these things deter you from knowing your computer, yeah sure this tool is very technical in its presentation but this tool is free and there is NO I repeat NO labelled that said THIS TOOL IS FOR THE PROFESSIONAL ONLY. No wouldn't find any indication that this is for them only. This tool is for everybody, for those who is brave enough to know what is there need to know about their computer even if you do not have a technical background or come from the technical or I.T field. 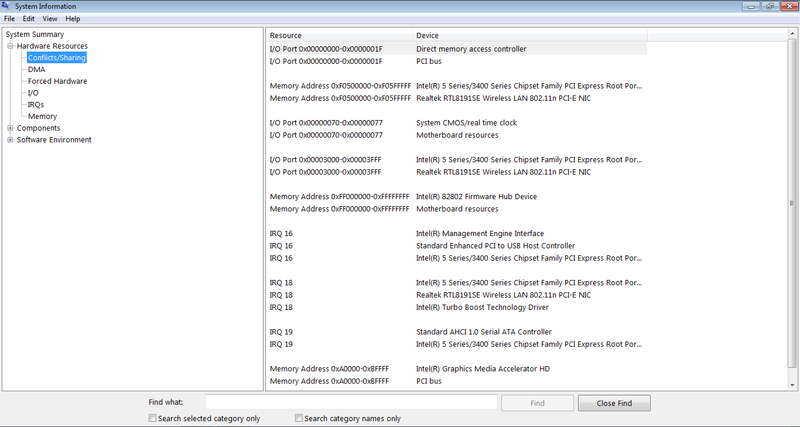 Now having said that please take a look at the picture or screenshot below of the System Information Tool. I welcome you to the S.I.T. no welcome screen or message. It gets right down to the basic of your computer. You may ask why I need to know about this one, the DXDIAGNOSTIC is fine already. Well simple put it knowledge is power and the more you know the better for you. Okay look at those item on the left there the tree menu, notice those boxes with cross on the inside. If you click on them the sub item for each tree branch will appear. On the right frame it the content of its tree branch. 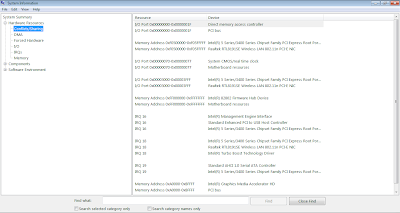 In this first content you notice that the information about the computer is the same as that of the information displayed by the DXDIAGNOSTIC tool. Every bit of information is exactly the same, however this one contains more information that the other tool. Just like what I mentioned earlier this tool is more detailed. Examine each item very thoroughly and will know that both tool will display the same information on the same computer. But before we go any further let's back track a bit. First how does one activate this tool? Where is this tool located? Okay first click the start button then go to the accessories menu then from there looks for the System Tools sub-menu. Inside this sub-menu will find the many tools. 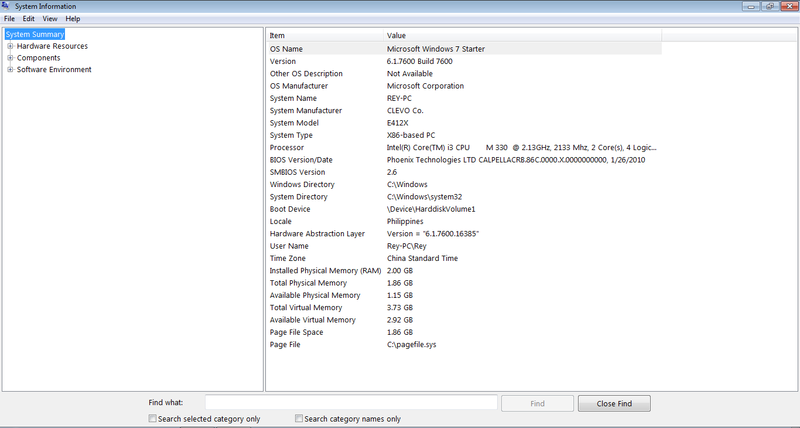 Look for the System Tool and click on it. As you can see I highlighted the procedure so you will not be lost. Now you have two different tools that you can used to verify what is really inside your computer. They both should contain the same exact processor type, memory amount, manufacturer, Operating System version and a whole lot of other item. But wait this is just the first batch of information you will know. By clicking on the net level of the tree another set of information will be displayed, take a look at the picture below. The first content of the Hardware resources is the Conflict/Sharing. As you can see the information shown is labelled they the Resources and Device. 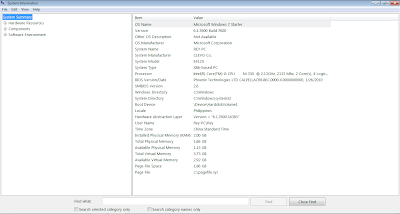 For the computer to work properly its need resources from the hardware like memory address and Interrupt request. Wait this is getting to technical. The summary of this information is the resources being shared by the hardware part of your computer to make them work as a one unit. . Also the conflict in resources is also shown and marks explicitly, but on this information there is no conflict in the sharing of resources. Everybody needs resources to work, from country, government to small community they need resources to function as whole even though they are not really on but a coming together of several parts working for the common goal. In this case each in every hardware and software of the computer needed each other to function normally. Without the other both of them will not be useful. As a common knowledge the hardware is just a piece of metal without the software and the same is true with the software. The benefit of both cannot be felt without the other. They go together with each other. If you are not comfortable to go on exploring this tool, then take it easy one step at the. Do a little research say on the words that are not familiar to you. Let say the word IRQ which is short for Interrupt Request, the RQ stands for ReQuest. Search for it on the internet they have ton of information regarding this word. Do it one day and one word at a time.